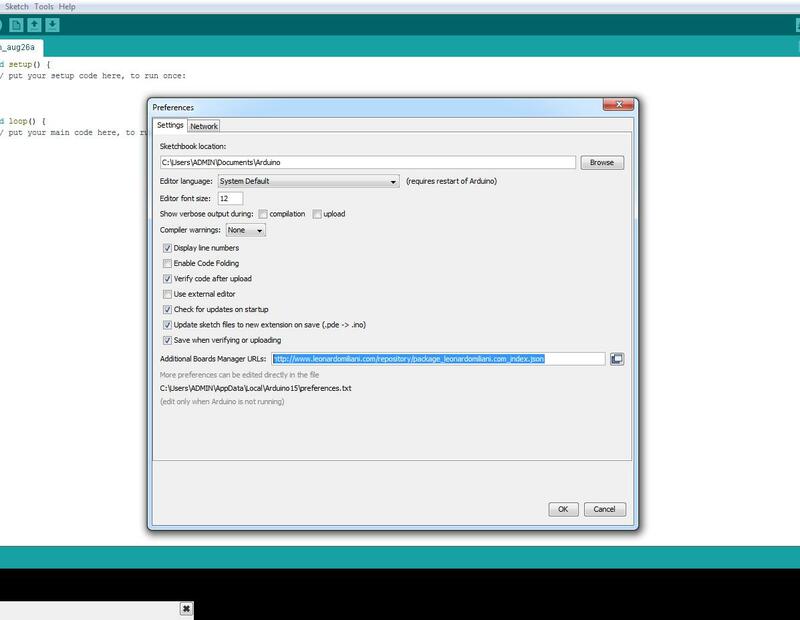 Once you've installed it, open the Preferences dialogue from the file menu. 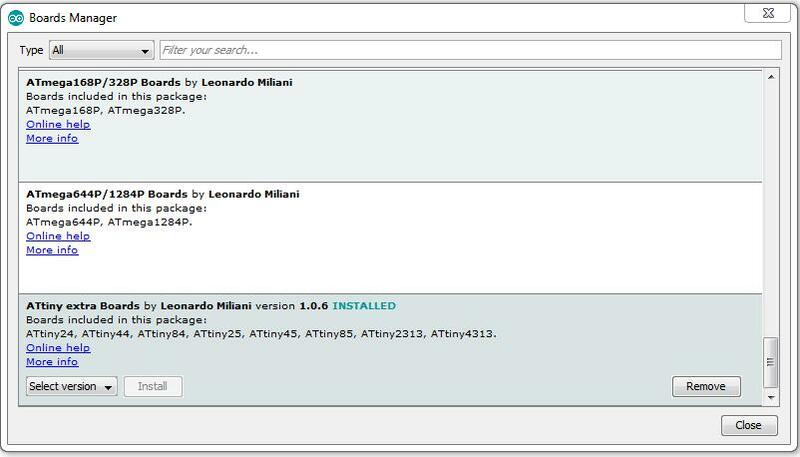 Then scroll down till you encounter Attiny extra boards by Leanardo Miliani, and then click on install. 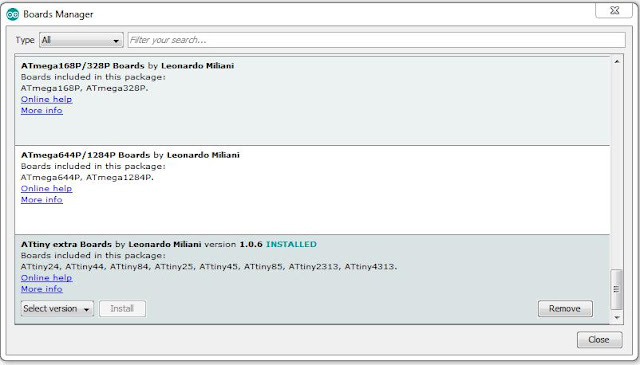 Now, we upload the Arduino ISP sketch from the examples to our Arduino board,just like we would upload another code. 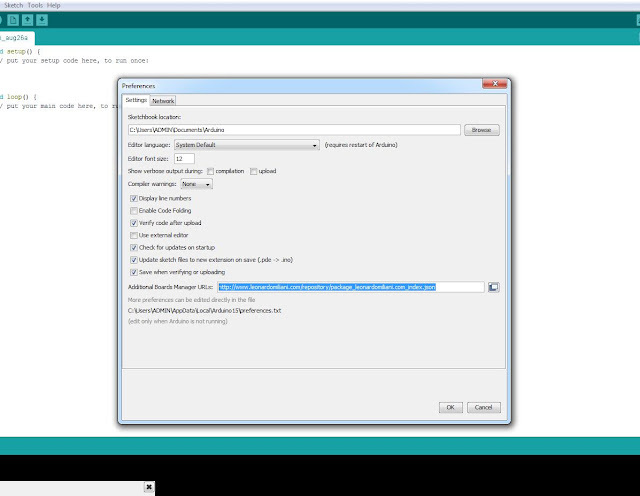 The 10uF capacitor between the reset and gnd pin prevents the Arduino from resetting automatically. 1. Select your board as Attiny 25/45/85. 2. 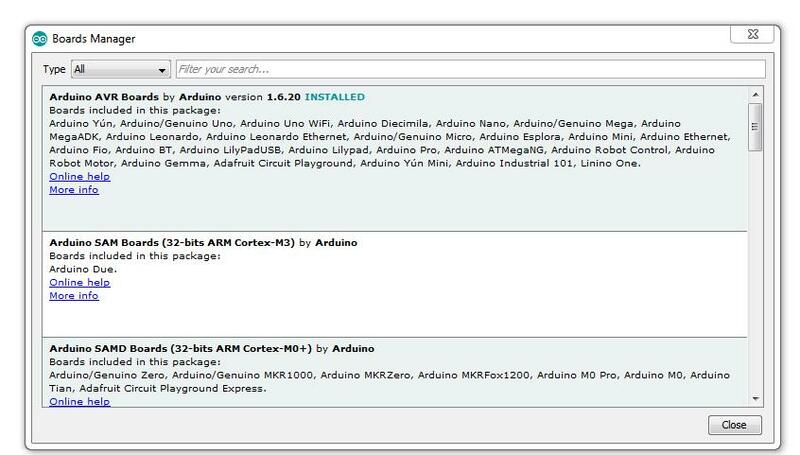 Select the microcontroller from the tools as Attiny85@ 1MHz(Internal Oscillator, BOD disabled). 3. 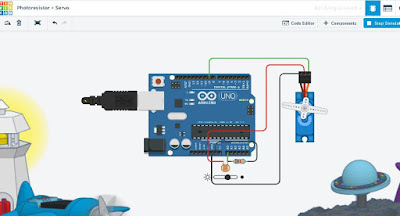 Select your port to which the Arduino is connected (just the way you always do). 4. Select your programmer -'ARDUINO AS ISP' . 5. Write some code to test it. For eg, The blink code, but we dont have pin 13 on the Attiny so change that to, 1,2 or 3. That's the pinout for the Attiny IC, so you can decide what to put where for making cool stuff. Now, there are lots of ways of doing this, but as of now, Only this way worked for me. David A Mellis was the first one to make the Attiny cores which were modified and adopted by many other programmers.